 Crock Pot Chicken Pot Pie requires around roughly 45 minutes from start to finish. One portion of this dish contains around 14g of protein, 11g of fat, and a total of 255 calories. For 95 cents per serving, this recipe covers 12% of your daily requirements of vitamins and minerals. This recipe serves 20. 15 people have tried and liked this recipe. It works well as an inexpensive main course. It is a good option if you're following a dairy free diet. This recipe from Foodista requires chicken breasts, condensed cream of chicken soup, pie crusts, and vegetables - we prefer peas and carrots. With a spoonacular score of 58%, this dish is solid. 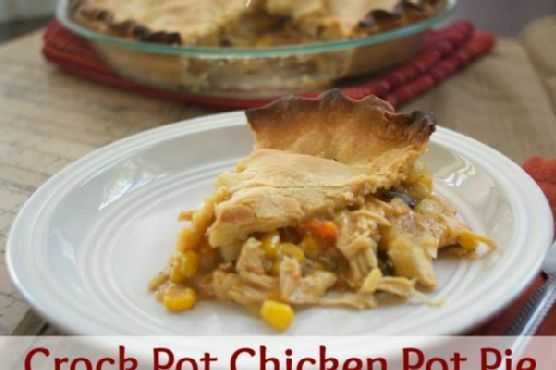 If you like this recipe, take a look at these similar recipes: Crock Pot Chicken Pot Pie, Chicken (Crock) Pot Pie, and Crock Pot Freezer Packs: One Pot Chicken Dinner. In Crock Pot, combine chicken breasts, potatoes, frozen vegetables, cream of chicken soup and mix well. Add additional salt and pepper if desired. Cook on low for 6-8 hours until chicken is fully cooked. Use a sturdy spoon to break up the chicken after cooking. Preheat oven to 400. Prepare pie crusts. Spoon chicken filling into pie crust. Top with pie crust. Cut slits into the top crust to vent steam during baking. Cut excess crust from edges and pinch to seal. Brush with egg white or melted butter and bake for 20-30 minutes until crust is fully cooked and golden brown on top. Allow pies to cool for at least 10 minutes before cutting. Best served hot. When buying canned soup, look for low-sodium versions to cut down on unnecessary sodium. If you're following a vegan diet (or avoiding dairy), make sure the brand of dough you buy is suitable for your diet! Always read the labels carefully. Otherwise you can make your own from scratch and be 100% sure. Many people will tell you to remove the skin on your chicken to cut down on fat. This is true, but if you like the taste, leave it on! You're only gaining a little fat for a lot of flavor. Plus, a little over half of the fat in chicken skin is monounsatured fat (that's a heart-healthy kind) and the notion that saturated fat is unhealthy is being questioned too. So in our opinion: dig in, skin and all!